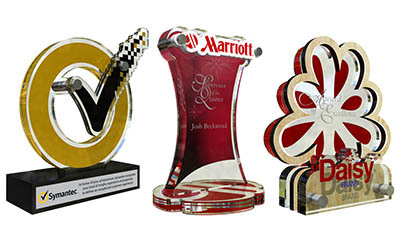 Custom acrylic trophies are perfect for any event, because you can custom make any shape or size award. 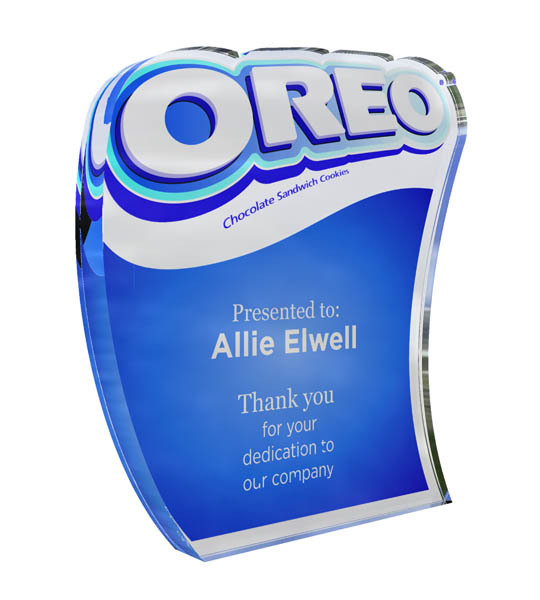 We can custom cut any shape and print in full color, as well as engrave on your award. 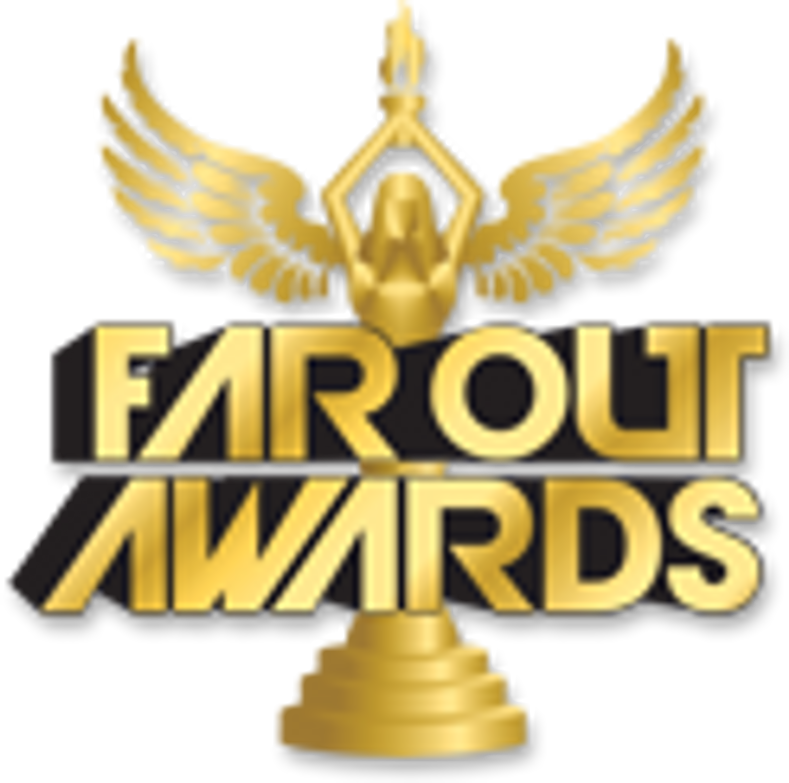 You can order as little as one custom trophy or hundreds. 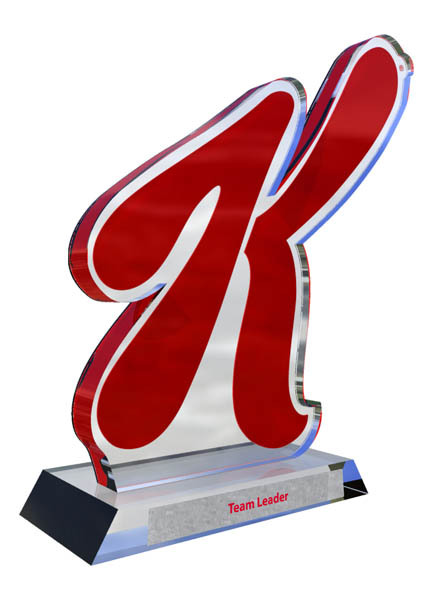 Our custom acrylic trophies came in a few standard sizes and complexities, which is based off of the number of custom cut acrylic pieces – please see below for more details on all the possibilities we can create! 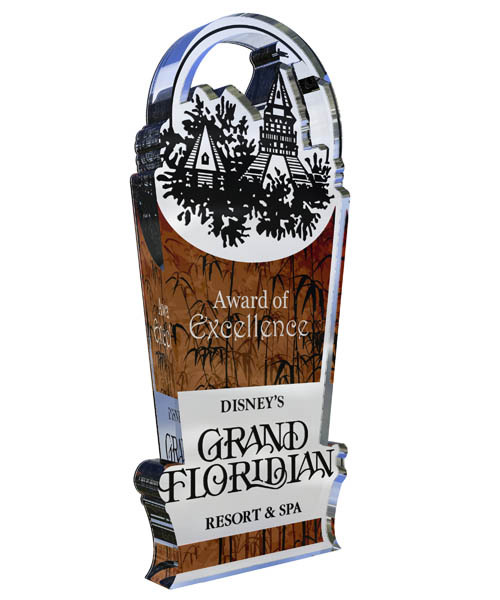 The most simple and cost effective design we offer are our Single Dimension custom acrylic trophies. You can get any shape custom cut here, even inner shapes within your logo. 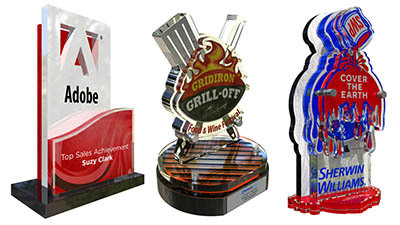 All of these awards can be custom printed in full-color and custom engraved. 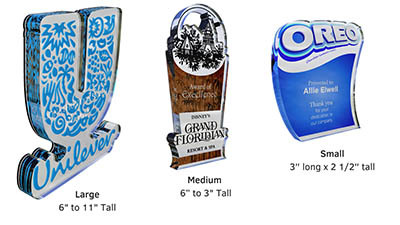 The three main sizes are small (~3” long x 2.5” tall), medium (~3 “- 6” tall), and large (~6” - 11” tall). 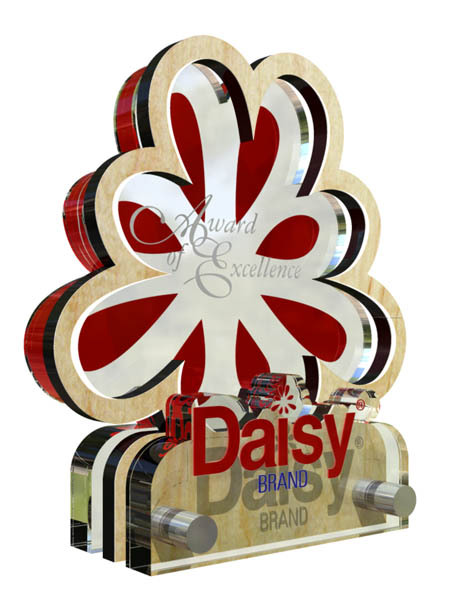 Our Double Dimension custom acrylic trophies are comprised of 2 pieces of custom cut and printed acrylic. 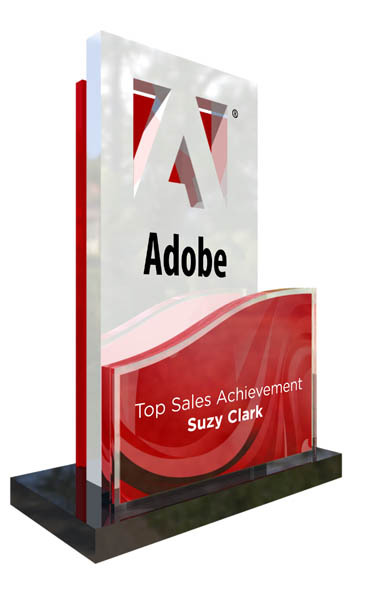 You can use one piece as the base and the other with your custom logo or use both pieces to make a double layered award that stands on it’s own. 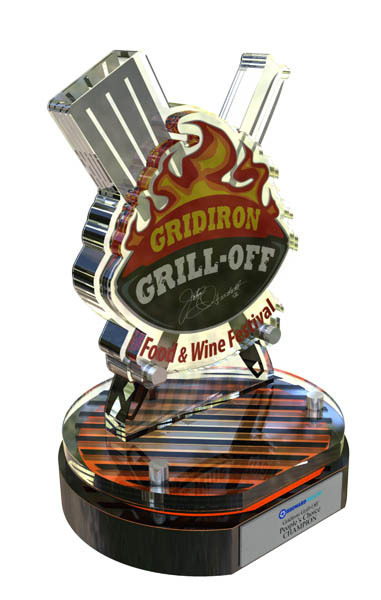 We can custom cut any shape and layer these any way to make the best trophy for any event. 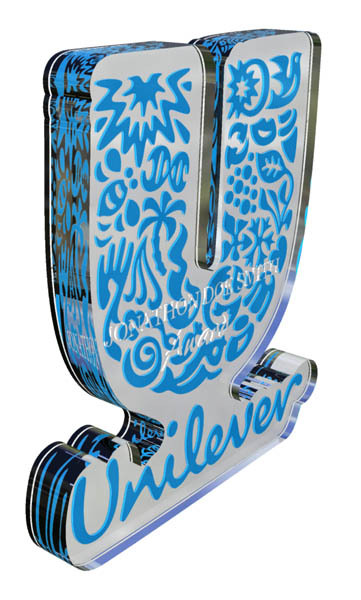 As you probably guessed, our Triple Dimension custom acrylic trophies are made with 3 custom pieces of acrylic. 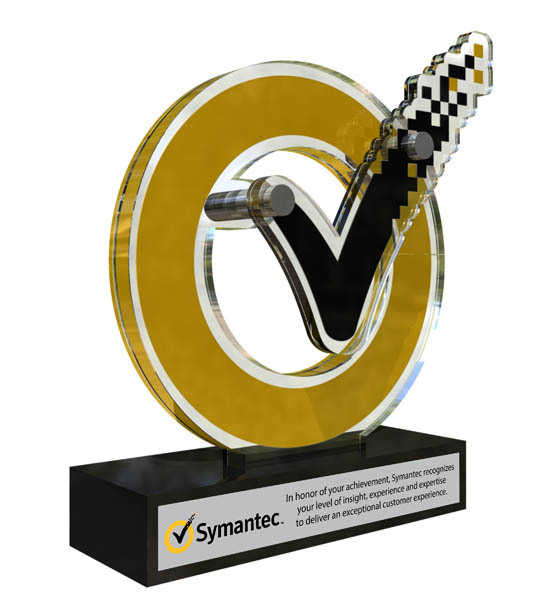 Now you can have a three-dimensional logo on top of a custom printed and engraved base – or you can create a mesmerizing triple layered award with your event or company logo. 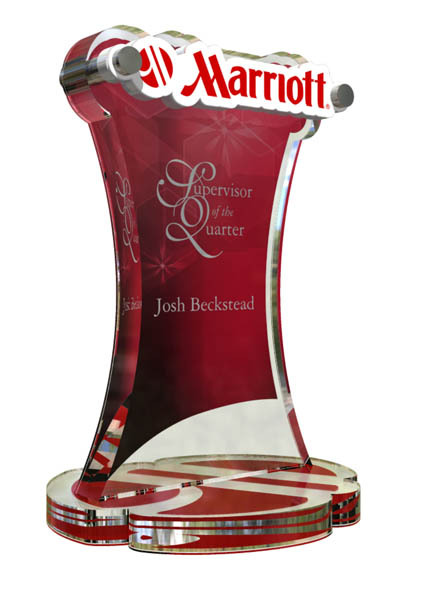 For those who want something super custom and Far Out, our Four Dimension custom acrylic trophies are the top of the line. 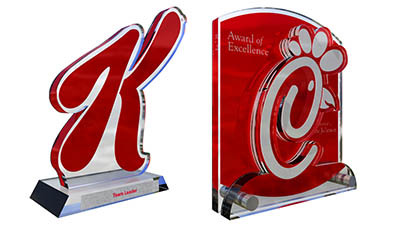 With 4 pieces of custom cut and printed acrylic, you can make any shape and size award possible. 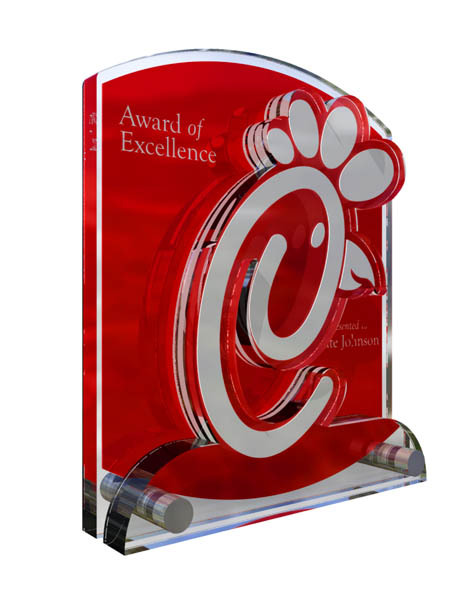 The sky is the limit here, so run wild and contact us now about the custom acrylic award of your dreams!